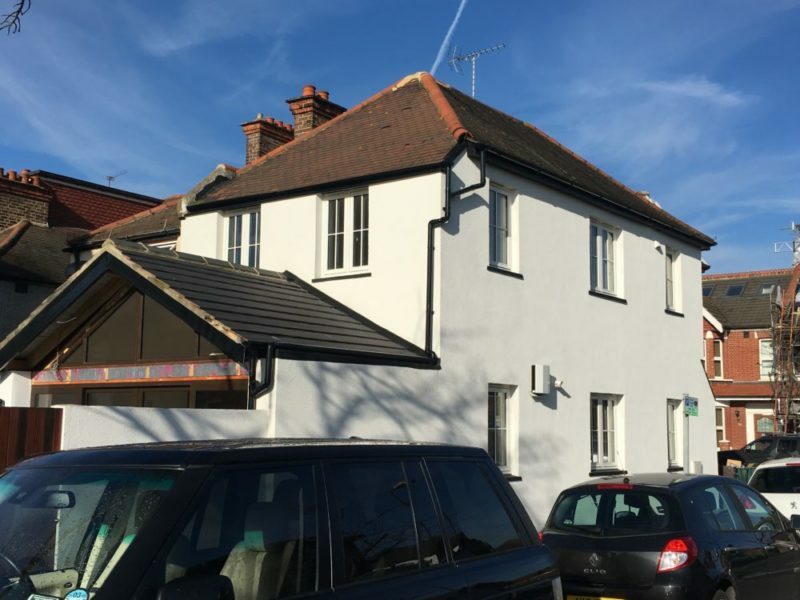 If you have been left disappointed by the finish of external wall insulation work, or it has not stood the test of time, we can fix it for you! Having spent all that money on the measure, we recognise how frustrating it can be to be left with disappointing results. Corner-cutting or lazy workmanship can lead to all sorts of problems.It might be that installers have used a dry system or a mixture of systems, or simply that the job’s been rushed, leaving materials hanging off the wall. We can remediate other installers’ mistakes and leave you with the results you were hoping for. Below are photos of a job we recently carried out – the homeowner got in touch to tell us that the installer in question had simply given up mid-works leaving the property in a terrible condition. The main reason was that the EPS boards had not been correctly attached to the walls. The EPS insulation boards should have been attached with adhesive and then with mechanical fixings. This installer seemed to have just skipped this step! 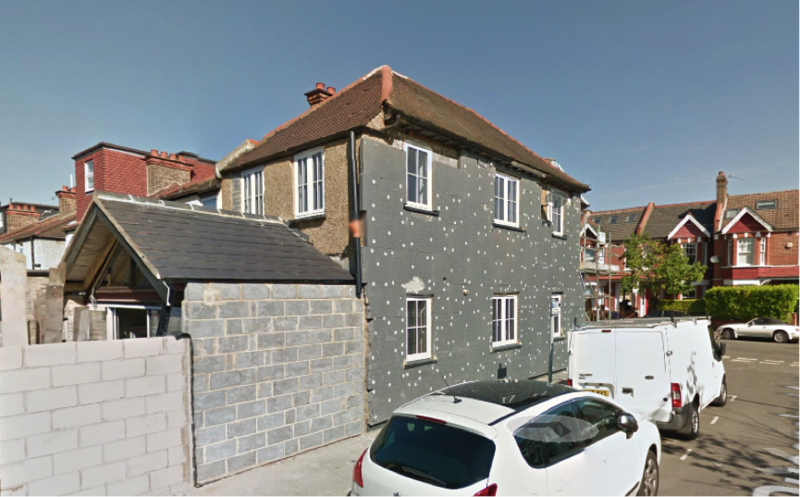 External wall insulation should last for years if done properly which helps adhere them to the wall. It was clear that this wouldn’t last anything like as long as our 25 year guaranteed system. We’ll do whatever it takes to get finish you’re happy with – even if this means ripping it off and starting again! When we saw the work for ourselves, this was exactly what we decided needed to be done. As you can see – quite a nice outcome! It has to be said most of the times we get called to repair solid wall insulation systems, we don’t have to remove a prior installers' work! It is actually quite common for repairs to be required – for example moving the position of the boiler in the home, resulting in a new flue being put through the wall. Likewise when new windows are installed, this can require some touching up work around the frames. 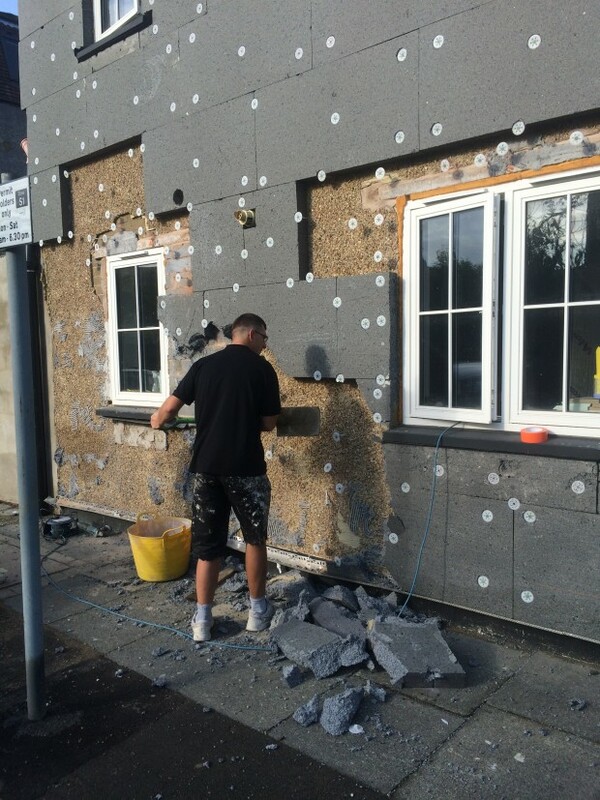 All of our teams have the training and tools to fix whatever problems you are having with your solid wall insulation system, so whatever the problem – get in touch!